In the last two days, just as was announced earlier, the Militia was finally able to enter into battle the reserves that were freed up following the rout of the Southern Cauldron, as well as some of the trophies that were obtained there. This immediately improved the situation at the front – the breakthrough to Krasniy Luch was localized and isolated, the Junta grouping in the area of Snezhnoye and Miusinsk was defeated, and the breakthrough to Marinovka was effected, leading to the formation of a new mini-cauldron, which have now become commonplace. At the same time, the Junta’s offensive against Enakievo and Gorlovka was stopped in its tracks, and fighting began on the outskirts of Debaltsevo. Overall, Zakharchenko’s counteroffensive appears to be more effective than the counteroffensive previously announced by Bolotov. Truth be told, however, it still manifests more as local counterstrikes that stabilize the front lines than a full-fledge counterattack. The consequences are undeniable - there is clear evidence of substantial losses incurred by the Junta in manpower and military hardware, new mini-cauldrons (to the east of Marinovka and near Miusinsk), the retention of control over the key highway from the LPR to Donetsk, the preservation of communications with Gorlovka, and the success in repulsing the attacks on Ilovaisk. Overall, over the last several days, the Junta’s offensive clearly has begun to run out of steam, which is not surprising, given the serious losses sustained by the Ukrainian army. The Militia’s arriving reserves have facilitated obvious strikes aimed at wedging into the Junta’s forces. Nevertheless, to the north of Donetsk, the Junta retains sufficient troops to maintain the initiative. Shielding itself from the Alchevsk grouping of the DPR Army with barrier groups, the Junta continues to concentrate forces in the area of Debaltsevo, with the intention of retaining this key centre and developing its attempt to flank Donetsk from the north. At the time, it is certain that the Ukrainian army will make an attempt to push through Uglegorsk, aiming thereby to encircle Gorlovka. This is the most obvious next step. The Junta’s problem is in the fact that practically all the reserves have already been entered into battle. Moreover, instead of a concentrated strike on Donetsk, these reserves ended up being spread across multiple sections of the front – whether for the purpose of tactical strikes or to save the encircled brigades. High losses and the lack of reserves will gradually force the Junta into taking an operational pause, whereas political considerations will continue to compel it to pursue the operation at all costs. Overall, over the past two days, the situation on the territory of the DPR has improved. However, it should be understood that, despite all the losses, the Junta continues to retain the initiative in certain areas and still maintains an overall superiority in manpower and military hardware. Accordingly, wearing rose-coloured glasses is not recommended. The struggle here will be difficult and bloody. On the territory of the LPR, using the troops of the group that was located at the Lugansk airport, the enemy stretched a long and narrow intestine from the airfield to Novosvetlovka. At the same time, in an effort to support this line, it attempted to take control of Khryashevatoye. It appears that the motivation for this strange operation conducted using clearly insufficient forces was to try to impede the passage of the Russian humanitarian convoy. Equally predictably, the Junta forces that burst into Novosvetlovka was already in the afternoon of August 15, 2014 surrounded on three sides and sustained serious losses in attempts to retain Novosvetlovka. From the operational standpoint this was a manifest gamble, considering that the southern flank of the enemy grouping advancing on Khryashevatoye and Novosvetlovka was left almost entirely unprotected. As the breakout stretched to the east, an intestine squeezed on three sides was formed, which simply cries out for being severed and completely encircled. Moreover, in the evening of August 15, 2014, the Junta forces entered into battles in the suburbs of Lugansk, and the fighting continued until nightfall. If the original plan consisted of breaking through to the Lugansk-Krasnodon highway and holding it as long as possible, while other troops moved in to assault Lugansk, then, considering the nature of urban warfare, and provided the LPR Army acts competently, then the defeat at Novosvetlovka will come about a lot sooner than any appreciable advance into Lugansk. Essentially, here we have to wait for the outcome of the battles. Overall, the situation remains difficult; however, in the past couple of days it has improved somewhat for the Militia. 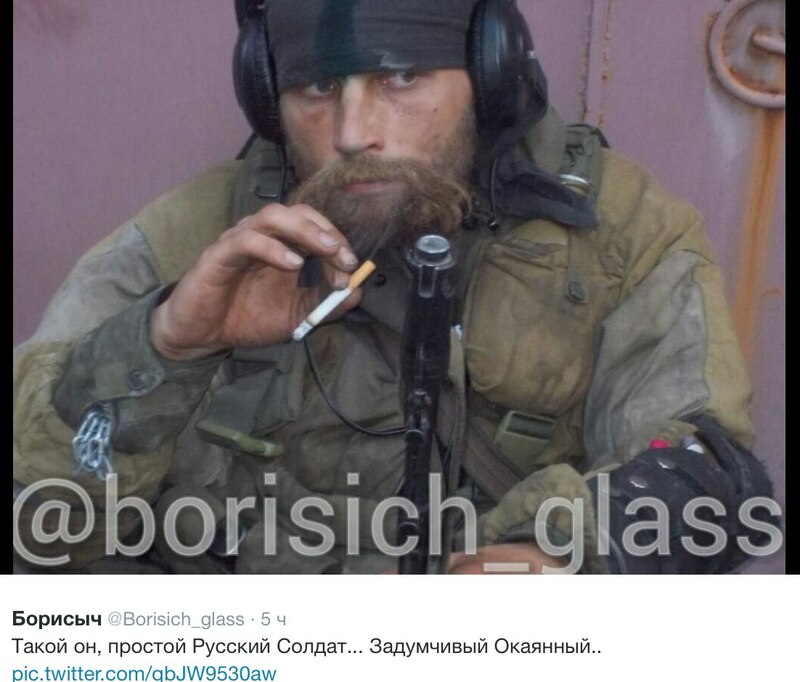 Debaltsevo and Gorlovka I still think are the key. 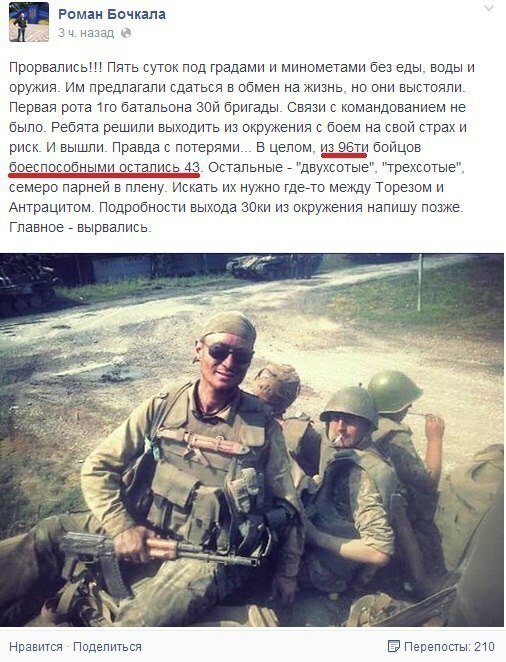 If the SDF [Note: Novorossiya Self-Defence Forces] can utilize the ‘1200’ troops trained in Russia, who it is claimed joined the ranks the other day, along with all the trophies from the Southern Cauldron, this could be the foundation for a brigade that would go on the offensive, using the 1200 men as NCOs for the Militia and a Spearhead Battalion made up of the most combat experienced men. It would still only be on a small scale as offensive operations require a cohesive C&C and experienced staff. If they could push Ukrainian army back out of Debaltsevo, the Ukrainian forces will have to pull troops from around Donetsk, as they seem to have no reserves, which is evidenced by the 3rd mobilization call up and training. The shock and panic I believe this would create will spread through the demoralized Ukrainian troops. There is also talk now of Right Sector [Note: Praviy Sector] issuing a 48 hour warning to the Kiev Junta [Note: Confirmed], that they will stop fighting and march on Kiev if their demands are not met! I hope Poreshenko fails to deliver, as the SDF could do with all the good luck! Right away, allow me to make a reservation. Some of the information has yet to be confirmed. It is provided here for the purpose of presenting a fulsome overview of the situation. In the evening, the situation with respect to the counter-offensive of the DPR Army began to started to become clear. The strike has been made. However, it did not come from the direction of Ilovaisk. One of the columns is attacking Blagodatnoye from the side of Torez. At the time this was written, there was no information as to who controls the village, but the units of the Junta to the north of Saur-Mogila were cut off in the village of Petrovskoye. Literally half an hour ago [Note: August 16, 2014, 21:30] the DPR Army announced the taking of the Uspenka border-crossing checkpoint. The second column, which was moving along the border, arrived at this border-crossing checkpoint in the morning and took control of it by the evening. In addition, artillery strikes were conducted on the Junta units in the area of Kuteynikovo. 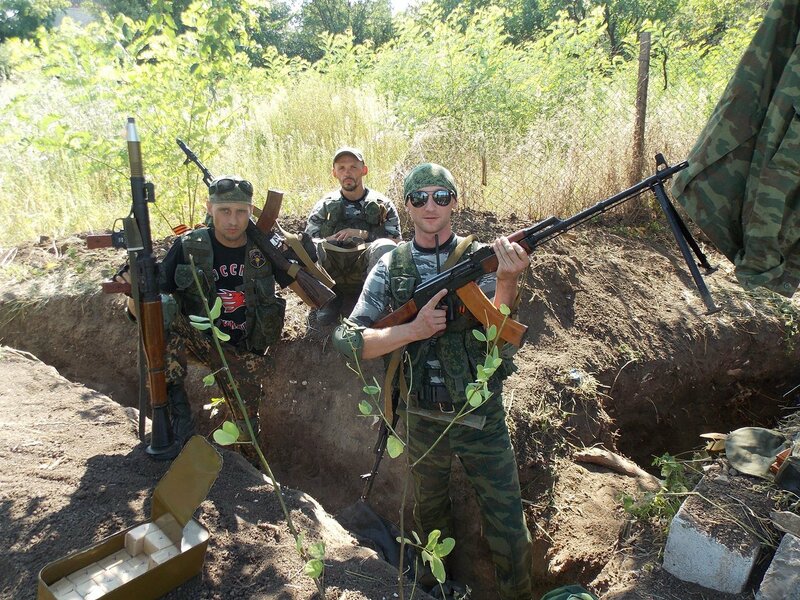 The DPR Army’s saboteur-reconnaissance groups (“SRG”) are active in the area of Starobeshevo. Kozhevnya has been taken. In the area of Miusinsk and Krasniy Luch, the units of the Ukrainian Armed Forces were partially eliminated and partially taken prisoner. There remain a few isolated pockets of resistance. Given that the DPR Army has commenced its assault, there is nowhere that they can expect help from, and that is why 17 soldiers of the 25th Brigade today crossed the border into the Russian Federation and the DPR Army has been reporting cases of mass surrender by the remaining servicemen of the 25th Brigade. This is the only area where the Junta’s offensive has yet to run out of steam. Today there was a strike on Zhdanovka and Nizhnyaya Krynka. Fighting continues in these towns. An attack on Yasinovataya also took place. As yet, there are no results. The morning will show whether or not this is serious and if Gorlovka will be operationally encircled [Note: This danger did not come to pass, Gorlovka remains connected to Donetsk]. Due to lack of troops for an assault on Gorlovka, this offensive appears to be an attempt to distract the forces of the DPR Army from the crumbling southern front. The second counter-offensive, to the west and to the north of Lugansk, has been ongoing successfully for the past two days. Yesterday the settlement of Zimgorye and Rodakovo were taken. Today, the LPR Army liberated Sabovka. As a result, the Lutugino grouping of the Junta ended up in operational encirclement. Moreover, it is being squeezed by the LPR Army from the side of Uspenka. Also closer the evening reports were received that the troops of the punitive units were eliminated in the area of Khryashevatoye and that the enemy suffered significant losses in the area of Novosvetlovka. 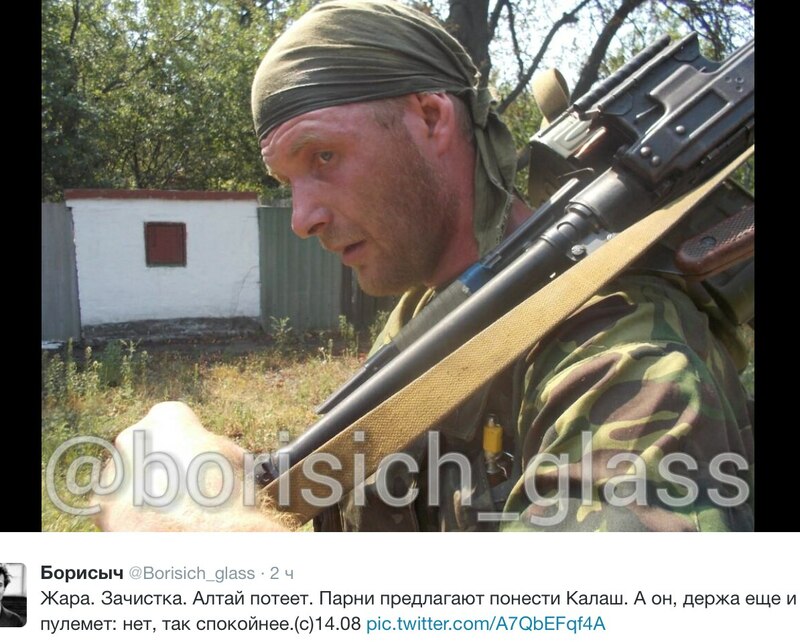 Most likely, by tomorrow the highway to Izvarino will again be free of the Ukrainian forces. 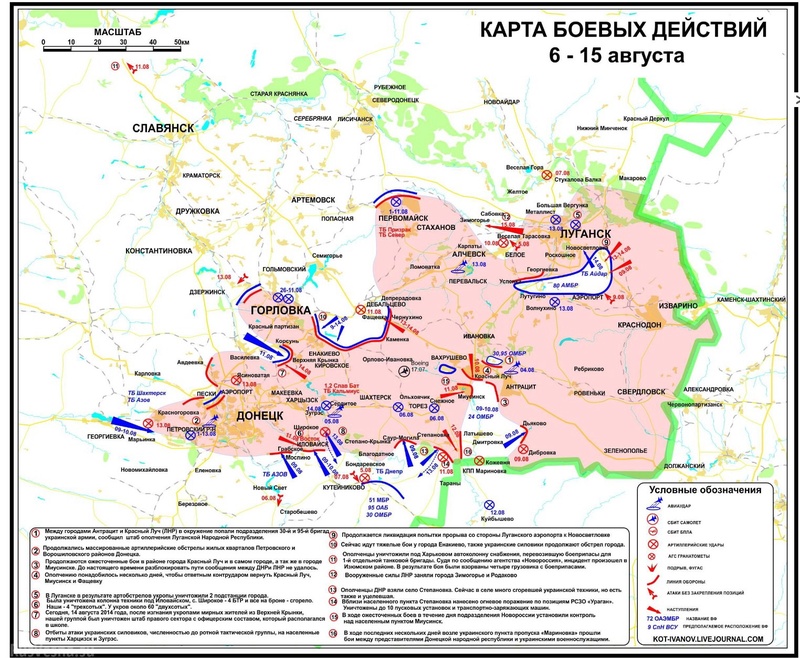 Accordingly, a fuller picture of the operational plan of the counter-offensive has emerged – the complete unblocking of Lugansk. Today there were insignificant battles in the northern suburbs of Lugansk; however, this fighting did not resemble an assault. By the evening, the fighting died down. There are no Ukrainian forces in the city. The Junta’s offensive has nearly fizzled out. The units that ended up in the new Southern Cauldron are being subjected to fairly powerful pressure. Accordingly, the Militia has sufficient forces to eliminate the enemy units and the rout of the Ukrainian grouping will not turn into a lengthy saga this time around. 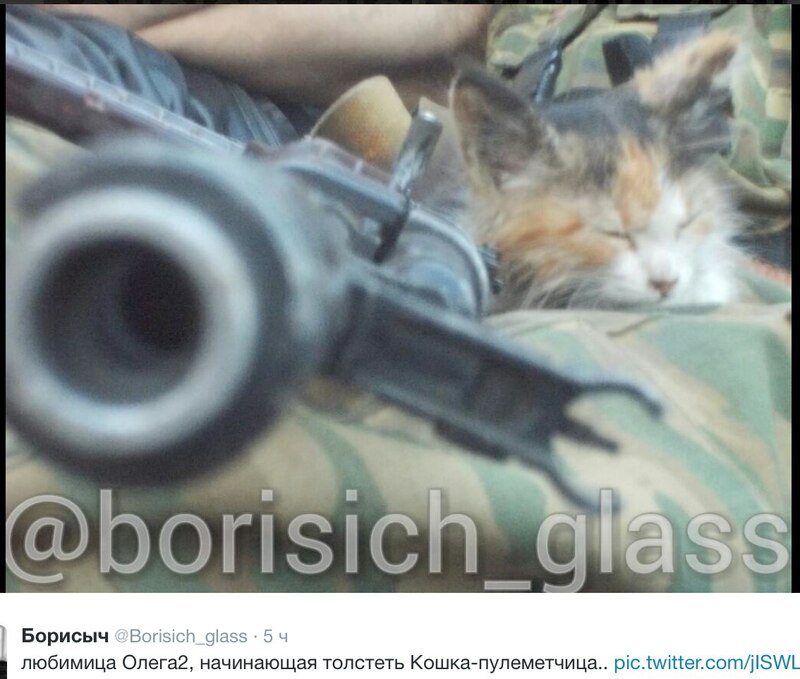 Moreover, the offensive launched against Amvrosievka is developing successfully. The appearance of unified command can be felt. This is especially visible in the case of the LPR. The strikes of the militiamen are well conceived and coordinated. As a result, the Junta grouping, which was weakened by the redeployment of a part of the forces to the Donetsk area, is retreating with losses. It is being simultaneously attacked from several directions and clearly lacks the troops to hold the stretched out front line. If the Lutugino grouping is not moved out to the north over the next day or two, it will repeat the fate of the Southern Cauldron, and the northern front of the punitive forces will be forced beyond the line of the Severskiy Donets river due to the lack of reserves (it is precisely from Severskiy Donetsk that the Junta commenced its offensive in the beginning of June). The number of battle worthy units of the Ukrainian Armed Forces that are present at the front has sharply declined. The Junta has been forced to plug holes in the front lines with Territorial Defence Battalions, which by no means can be considered to be battle ready units due to lack of proper training and heavy armaments. At the very least, the Junta’s southern front is floating out of control. The front to the north of Lugansk may be in the same situation next week (if the Junta continues stubbornly to latch on to the city of Lutugino). To the north of Donetsk the situation is complex, but overall controllable. Note (Gleb Bazov): While this update sounds even more optimistic than the preceding one, this is not the time for rose-coloured glasses. The critical, and I would say – catastrophic, humanitarian situation continues to have a fundamental impact on the situation on the ground, and the remaining operational crises have yet to be resolved. Overall, while cautious optimism is warranted, it would be inappropriate to adopt the approach of the Ukrainian propaganda machine and trumpet victory. Save the champagne for Kiev. Post #1: They broke out! Five days they spent under Grad and mortar fire without food, water or weapons. They were offered to surrender in exchange for life, but they stood their ground. The first company of the 1st Battalion of the 30th Brigade. They had no communications with the command. The guys decided to risk it and break out of the encirclement fighting. And they made it out. However, with losses … In total, our of 96 fighters, only 43 remain able to fight. The rest are “200s”, “300s [Note: Killed in Action/KIA and Wouned in Action/WIA], and seven guys were taken prisoner. They can be found somewhere between Torez and Antratsit. The details of how the 30th broke out of encirclement I will provide later. The main thing now is that they made it out! Post #2: Even if all this resembles a hamster wheel, we must continue helping. The 1st and the 3rd Battalions of the 30th [Brigade] have been destroyed. 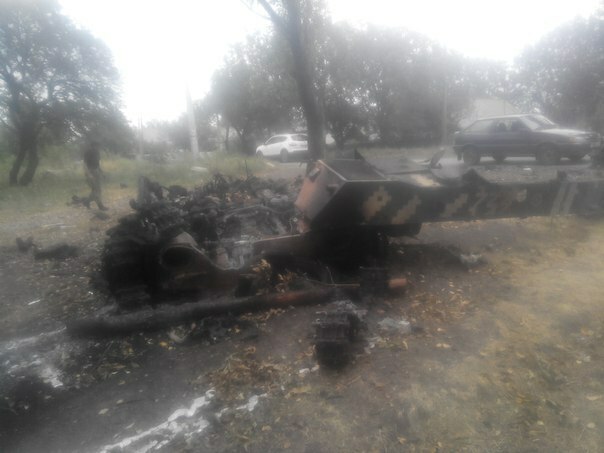 After the battles in the area of Stepanovka, almost everything the guys had, from equipment to personal items, burned down. And that is why our help is needed now more than ever. The guys need HELP! For the past four days, they have been waiting for their commanders, who are not in any hurry to come by! Instead, the military prosecutor has already visited. They are attempting to declare the guys deserters. Even though they broke out of hell at Saur-Mogila … Their, encircled, are more guys who could not make it out. There are many dead and wounded!!! The guys are waiting for help from psychologists and journalist. According to them, THEY DO NOT EXIST … If anyone wants to help, they are currently on the territory of the old helicopter base near Melitopol, in the settlement of Mirnoye. P.S. “Inter” is a pro-Porosheno TV channel. If even their journalists are going crazy, then Petya is in trouble.